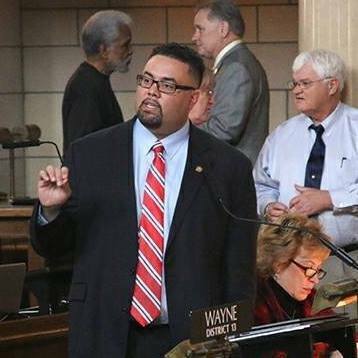 Hemp is the future according to North Omaha Senator Justin Wayne. His bill LB 657, the Nebraska Hemp Farming Act, would align state laws with the federal 2018 Farm Bill that legalized the growing, processing and marketing of hemp, the non-psychoactive form of cannabis. Wayne explained that hemp, which is estimated to be a billion dollar industry, is not only a money making crop for farmers, but also an opportunity for new good paying jobs in rural and urban areas where older industries have died. LB 657 has moved on to general file where it has received an amendment to remove hemp, and its derivatives including CBD, from a list of controlled substances. Floor debate for the Nebraska Hemp Farming Act is expected in the coming weeks. I’m Dawaune Hayes. Read the Lincoln Journal Star’s editorial in support of LB 657 and legalization of industrial hemp. You can learn more about Cannabis and it’s derivatives at Cannabis Wire. Last week in local government, contentious issues were addressed and others delayed. Despite new code violations filed against landlord Dave Paladino, Omaha City Council granted Paladino more time before deciding on a TIF request for his latest housing project. Council members granted layover with a 5 to 2 vote. Council members also delayed decision on three ordinances designed to improve inspections, housing conditions, and to protect renters. Since the displacement of hundreds of immigrants from Yale Park Apartments last September, City Prosecutor Matt Kuhse filed 100 criminal charges against property owner Kay Anderson. In retaliation, Anderson filed lawsuit against his former refugee tenants and city officials, leaving City Council to develop new arrangements to protect the housing industry. The county board agenda brought County Attorney Don Klein to Legislative Chambers to provide Commissioners clarification on how to engage with citizens during their morning meetings. The public will still be permitted to speak on anything not on the agenda as it pertains to Douglas County during Citizens Comments. The Commissioners will be allowed short responses at the discretion of the chair. The County Board and Omaha City Council hold their public meetings most Tuesdays at the downtown Civic Center. I’m Luis Jimenez.